By far one of the most popular sights in Centralia, Pennsylvania is an abandoned section of Route 61. Found just south of the town, the one mile stretch of road was closed due to damage from the underground mine fire. The Centralia coal mine fire began burning in 1962 near the Odd Fellows Cemetery on the southwestern edge of the town. By the late 1970s, the fire was moving out of its original location and following an abandoned network of mines. The mine fire moved in three main directions: west towards the former site of St. Ignatius Church, east toward Big Mine Run Road, and south towards Byrnesville and Route 61. 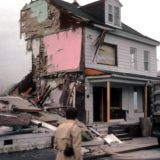 In the mid-1980s, the fire began to surface near Route 61, causing ground subsidence and emitting steam. At some points, the water vapor engulfed the road and lowered visibility to only a few feet, in turn creating dangerous driving conditions. Residents of Centralia, PA also grew concerned about a natural gas pipeline that was buried along the road. They worried the heat from the fire would ignite the gas and cause a massive explosion. While the pipeline was never directly affected, Route 61 certainly was. The Pennsylvania Department of Transportation (PennDOT) feared that a sudden, unexpected subsidence on busy Route 61 could open up a hole in the road and trigger a traffic accident. To address the problem, PennDOT embarked upon a plan to inject a slurry of water and gravel under the roadbed. The theory was that this would help to contain the fire and shore up the ground around it. Sadly, this technique was unable to stop the raging coal seam fire. 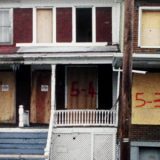 By the early 1990s it was clear that a more drastic plan would be needed if Route 61 was going to be saved. PennDOT hatched a plan to reroute the damaged thoroughfare onto Byrnesville Road. Previously, this small street had run through the town of Byrnesville to the south of Centralia. 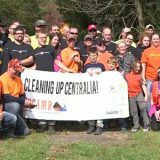 Byrnesville residents, like those in Centralia, were offered relocation in the 1980s. After they were gone, PennDOT had a clear path to widen the street and turn it into a permanent detour. As a result, a one mile section of Route 61 was bypassed. When heading south, travelers are forced to make a hard left just after leaving Centralia. This directs traffic onto the now improved Byrnesville Road. After a mile, the road bends back to the right and returns travelers onto the original Route 61. 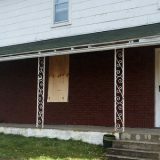 In the years since it was closed, the one mile damaged section of Route 61 has turned into a tourist attraction. Subsidence has made the road surface ripple and crack in a number of places. 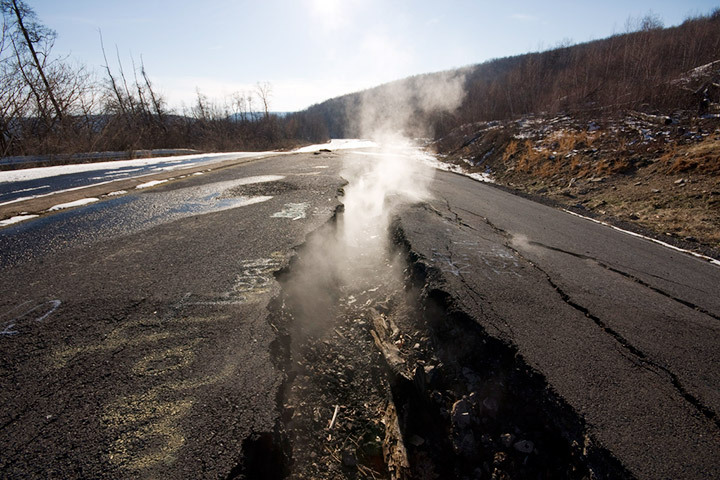 On cold days or after a heavy rain, steam will waft up from the fissures in the road. This makes for an especially eerie sight. 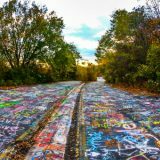 Within the last five years, as the popularity of Centralia, Pennsylvania has grown, the abandoned section of Route 61 has been slowly covered with graffiti. This runs the gambit from the obscene to the thought-provoking. 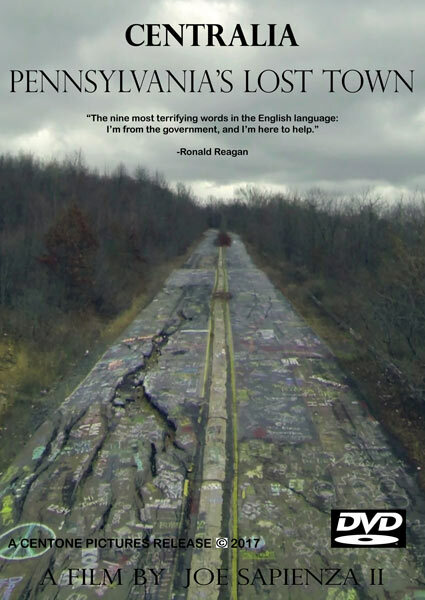 If you are going to be visiting Centralia PA, definitely take some time to stop and walk along this piece of history. And, don’t be surprised if you see others there too. It’s one of the town’s most interesting spots to explore! Isn’t it dangerous? I mean, exploring hot sinkholes? Next story Electricity from the Centralia Mine Fire?